Nokia has been a pioneer of Mobile telephony and enjoyed the position of bestselling mobile phone Company in the past for quite a long time. Its market position changed as Android and iPhones came into the market, but Nokia still managed to update its Symbian OS for smartphones which match the benefits of android based phones in a number of ways. 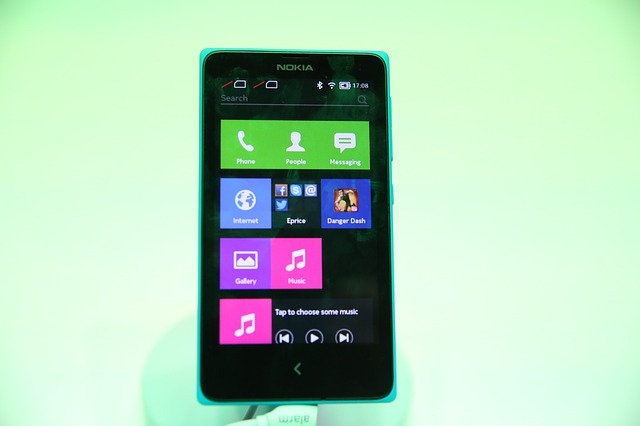 Currently, Nokia uses Nokia X software platform for its new range of smartphones. Mobile apps developed for Nokia are secure and provides a good user experience. Let us discuss benefits of developing a Mobile app with Nokia. When you create a Mobile app with Nokia you can leverage a lot of Mobile hardware capabilities like Touchscreen, GPS, Accelerometer, Camera, Bluetooth, etc. Mobile apps running on Nokia are designed specifically to run on Nokia device and hence give the best performance and never face any compatibility issues. It can make the best use of its Mobile hardware and provides the ultimate user experience. With Nokia, you can work on your other applications while you keep radio or music app on in the background. Nokia apps are developed to run on Nokia X software platform and are developed for Nokia device only. It does not allow any third-party application and hence provides security from external apps which can harm your data and device. It is safe and reliable to use and has satisfied customers with its safety measures. Adding new features to Nokia Mobile apps is easy and can be upgraded anytime required. You can make easy updates with changing customer requirements and provide the latest featured apps with Nokia. Nokia Mobile apps are built for the Nokia devices and hence provide the best UI presentations enhancing customer’s experience of using it. It will be used with the same device and will satisfy customers expectation every time they use your app. One Drive etc. are Microsoft services are integrated with Windows Phones adding value additions to it. Applications developed for Nokia Windows’s phone are published in Windows phone store making it more discoverable to people increasing your business prospects. With Nokia Mobile app development, you have a vast scope of advancement and building latest technology apps which result in user’s engagement and satisfies customers by providing them apps with most advanced features. Users can enjoy the security features with windows OS and can make the best use of applications for growing business. Nokia has trusted customers since years that believe in best quality and service and trust brand for all the benefits they have enjoyed from it. Building a Nokia Mobile app can leverage a lot of benefits for your business growth and ensures profitable results.